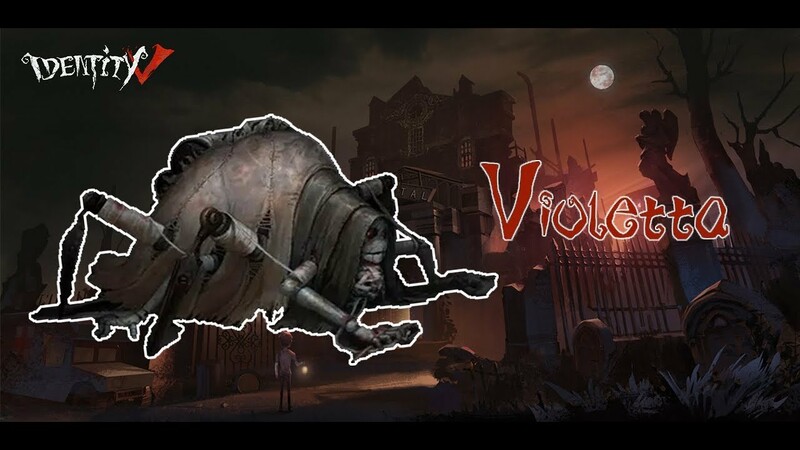 Identity V is a horror action PC game developed by NetEase. With its gothic art style, mysterious storyline and disproportionate confrontation play 1vs4, Identity V will give you a great experience. Identity V was released by NetEase based on the inspiration from the play and classic script of Dead by Daylight on PC. For those who do not know, Dead by Daylight is an action game online mixed with horror is highly appreciated, let you play a murderer who is searching for survivors or vice versa, fleeing from the killer Mental people controlled by the enemy. Identity V game is built based on the classic scenario of Dead by Daylight game on PC and the gameplay is similar. Players will be selected in either side, survivors or murderers. If you choose on the side of 4 survivors, the player’s mission is to run away and find ways to protect yourself from the killer. Along with that, coordinate with other players to distract pursuers, use supporting items such as drinking water, furniture (but no weapons) to survive. The ultimate goal is to find the generator and open the way out of the forest. On the contrary, if you play the murderer, you are alone and aim to hunt, catch and prevent the prey from escaping within the time limit. You are selected to transform into various disgusting killers, possessing diverse cruel skills. Players will be immortalized for a certain period of time to prevent the prey from escaping through the activation of generators on the map as mentioned. Assassin instincts allow you to discover the footprints of other characters if they were hurriedly running in the forest. You can also select multiple characters with different characteristics and skills, but not in a single killer. If the hunter catches a survivor, it will catch and hang them on the meat straps hanging around the dark places in the forest. While the player is hung by the hunter, others can climb up and rescue them, and the survivors are also capable of healing each other to free each other. And the point that makes the most nervous player is while the survivors have no weapons to attack human hunters, and they can dodge them by jumping through windows or on low barriers (guys hunt people can’t do this). They can also drag objects such as wooden planks to block them, or have torches hidden around the map that you can lighten to blaze them. The only thing Identity V does not copy from the man Dead by Daylight is a Gothic style graphic with dark colors, somewhat similar to the style of the famous director Tim Burton. People often mix the fantasy of fantasy series with horror elements to make the hair-raising fans thrill through cult movies such as Edward Scissorhands, The Nightmare Before Christmas, and Frankenweenie. Four survivors are forced to flee the pursuit of the ruthless murderer, team up with teammates, decipher the coding machines, open the gate and escape. Meanwhile, a murderer will become a powerful killer and familiarize himself with all that killing power. Get ready to catch and torture your victims. Return to the Victorian era and experience a unique graphic style. During each play, the map in Identity V will be changed. Therefore, you will never feel like playing the game again and never know what is going to happen. You are not bound in any character that has countless characters to choose incarnation, customized to suit your own strategy and win the final. In addition, with the latest version, the game also added the ability to switch languages. Current support languages ​​including English, Japanese, Chinese.